Now straight away I have never seen chips which are healthy and Blue/Purple ??! So I got this snack from a health food store in Malta and purchased purely on the package image of these potatoes. Reading some more the company is called “Terra” and they are made in the US and imported to Belgium. 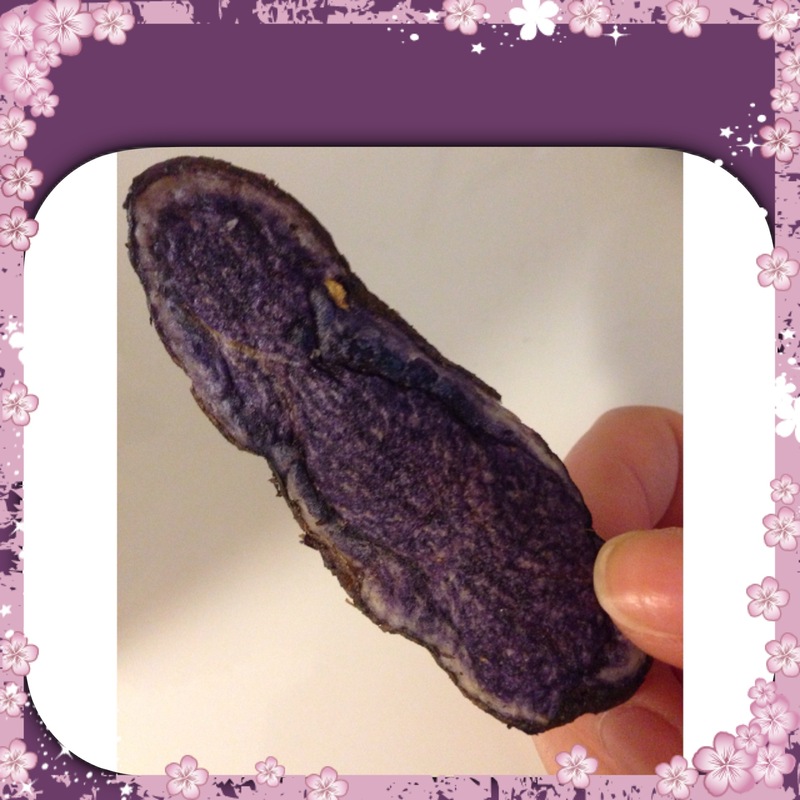 These are naturally grown blue purple potatoes and have a dense texture. The package says that these chips have a lower fat content and cooked in a specific manner so they do not ruin the colour. Seems like the ingredients are very straight forward, which is pleasant; because sometimes its like I am in a chemistry lesson when I read labels! Contains vegetable oil and salt! In comparison to the standard chips the package of 110g has 64% less saturated fat and 47% less fat. Price in Malta is EUR2.99 . The look and texture looks more put together then a crumbly standard chip. When you half it, it is also a bit thicker.Biting into it there is a crunch but a solid strong one , the taste is earthy with a comforting potato chip flavour we know. No oil residue left on your fingers and close to no crumbs. I love dense and more hearty textures so this hit the spot definitely. 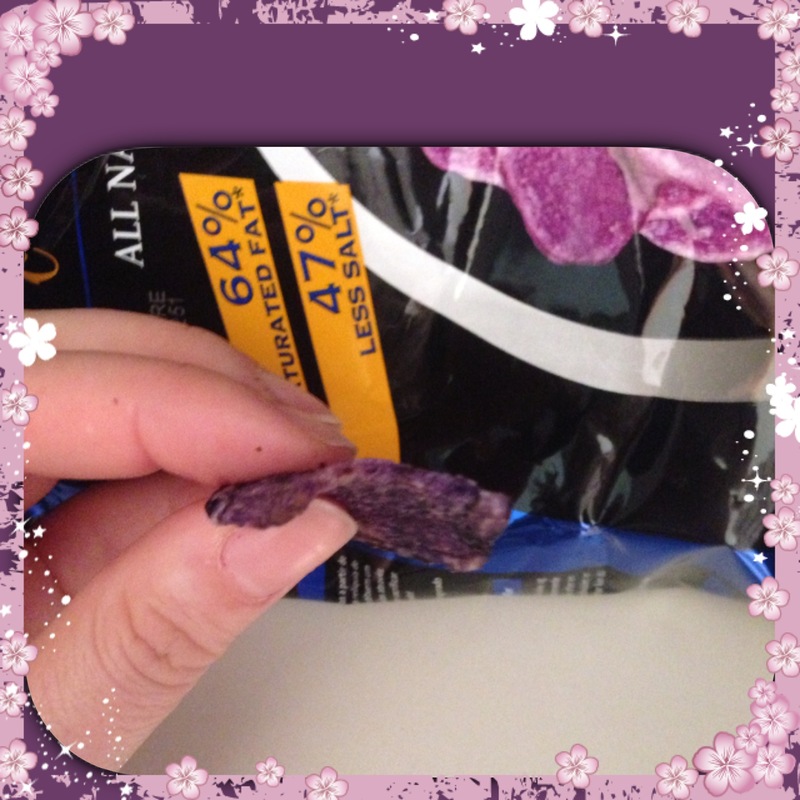 It’s much more of a sturdy chip and with its health elements I would gladly swap a bag of standard chips to bluish purple chips! Good Job Terra there is a good alternative around! 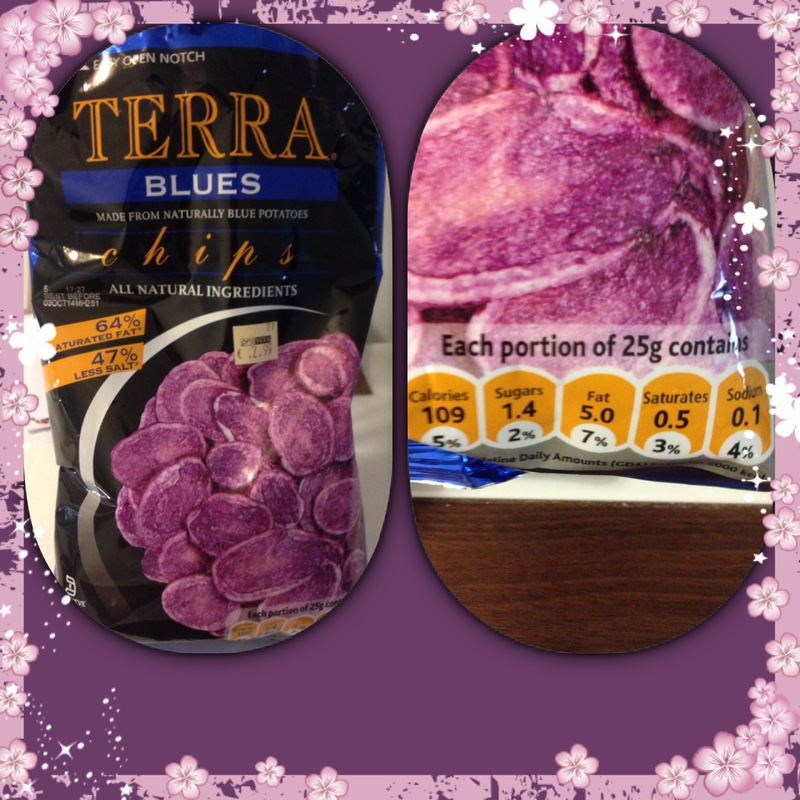 ( Check out their site if you are interested http://terrachips.eu/) The only reason I did not give them full marks is because I only saw one shop with these chips and I would like to find more of a variety in Malta! Next Next post: The Challenge Final Round – TRESemmé 7-day smooth range.